We (at the Guild of Ocabreeders) are a group of scientists, farmers and gardeners working together on a plant breeding project designed to increase food security. 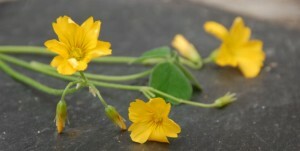 The original idea for the project came from Dr. Owen Glyn Smith; better known as Rhizowen. 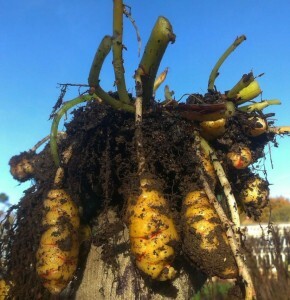 His blog Radix has been a focus for a lot of people working with new and unusual roots and tubers for several years. 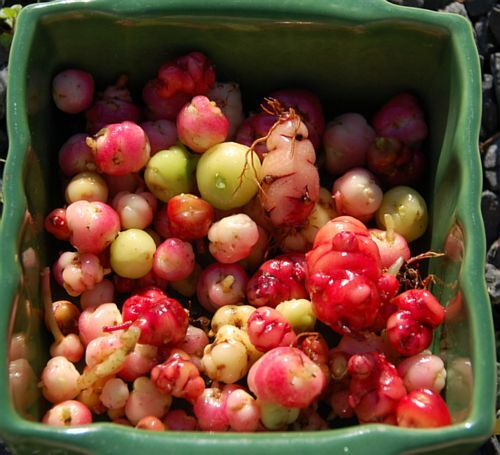 Oca was chosen as the most promising of the less well known vegetables to start with as it tastes good, is very attractive to look at and grows well where conditions are to its liking. The only thing that’s stopping its widespread success is that it forms its tubers late in the year and so the harvest is often lost to frosts. Breeding varieties which tuberise earlier in the year provides a good achievable target. About 18 months ago the first steps were taken to enrol people into the project and our group of volunteers have worked through the last season planting, tending and harvesting from the first round of trial tubers. Now the results are coming in and the best tubers will be sent out again along with new selections of trial tubers from the seedlings raised during the year. We are hoping to encourage more members to join in as well as developing larger and more permanent trial grounds and facilities as funds permit. 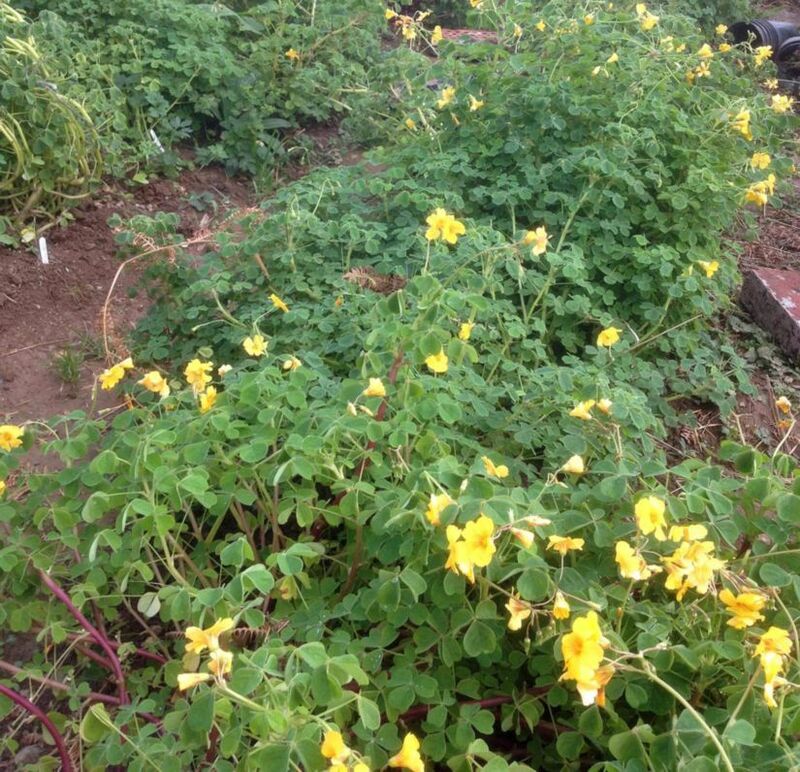 Engaging the help of gardeners and farmers from every corner of the UK and the continent makes the creation of an improved oca similar to the methods that domesticated the potato. While the use of the internet and social media for communications means the whole process can be telescoped into a much shorter period. Additionally, as a citizen science project everyone taking part can learn more about how their food is produced and what they can do to keep control of it. Our group supports the Open Source Seed Initiative (OSSI) and pledges not to restrict others’ use of these seeds or their derivatives by patents or other means, and to include this pledge with any transfer of these seeds or their derivatives. We also have plans to re-distribute our breeding lines back to the countries of origin for immediate use and further breeding work by agricultural agencies there. We’re running a one day Saturday school in Oxford on 16th April on the general principles and techniques of breeding vegetables and improving varieties by selection. There are speakers from Realseeds, OSSI and a project on Jerusalem artichokes and two of the lead scientists of the Guild of Ocabreeders, Owen and Dr Ada Grabowska-Zhang so it’s a good chance to meet them and discuss ocas. You can read more about this here.